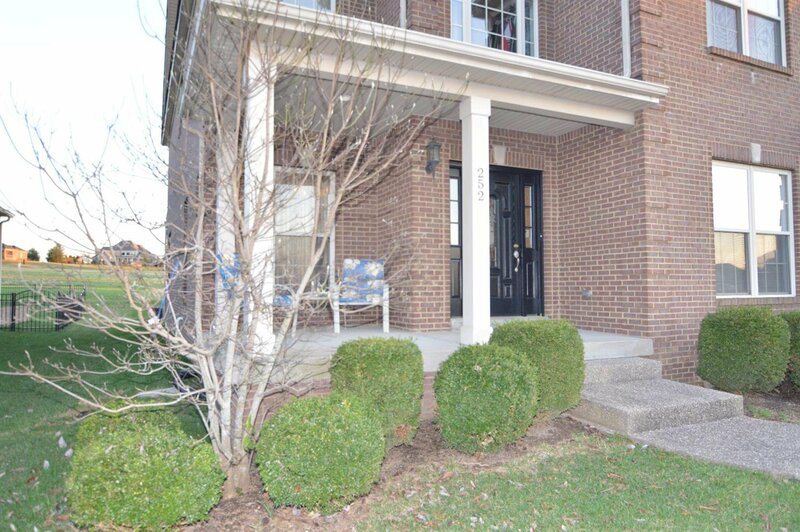 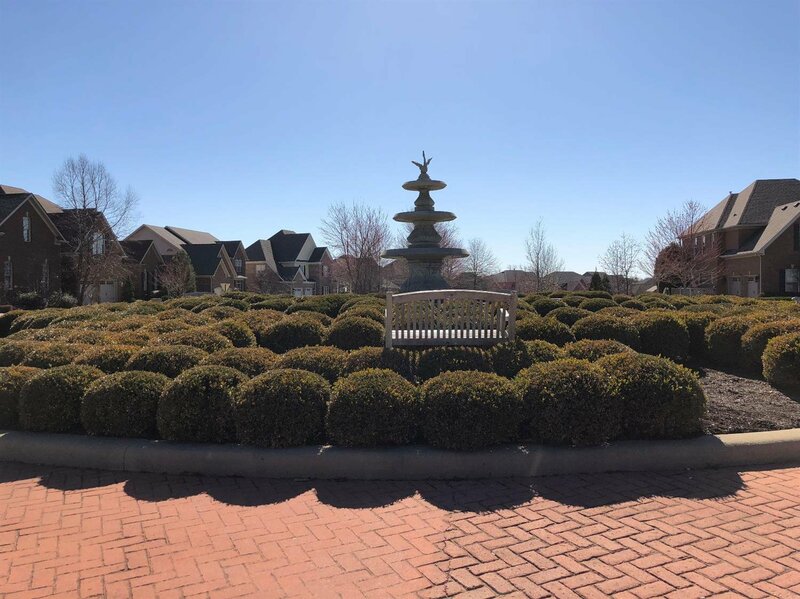 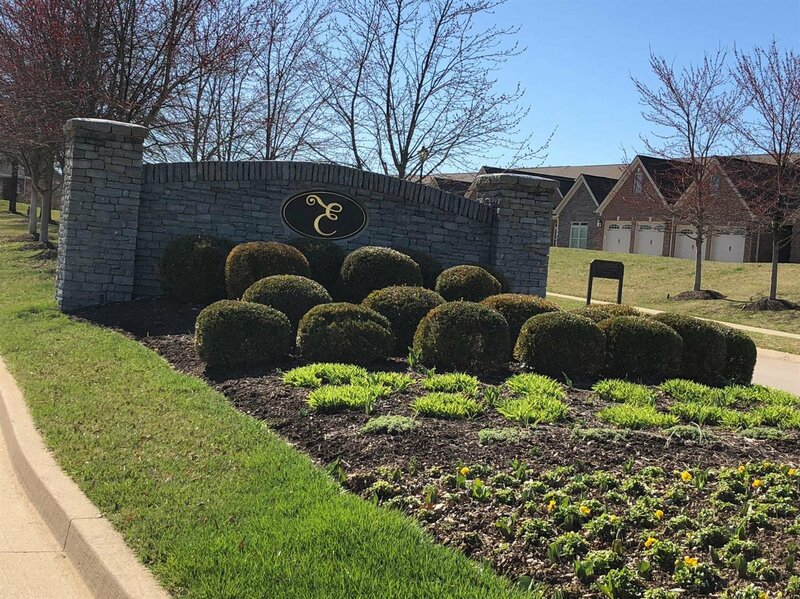 Located in a fabulous location is this home in Ellerslie Park! 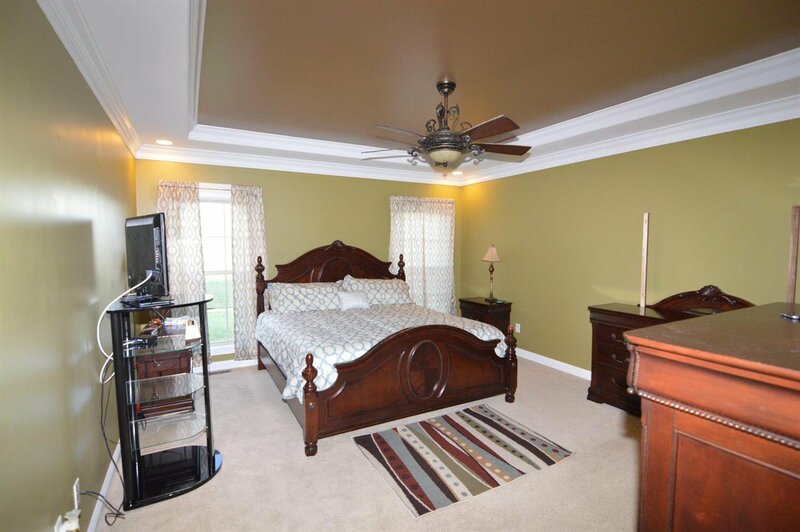 Home has a first floor master bedroom suite, has 5 bedrooms, 3.5 bathrooms, home office, formal dining room, 2 car garage and full basement. 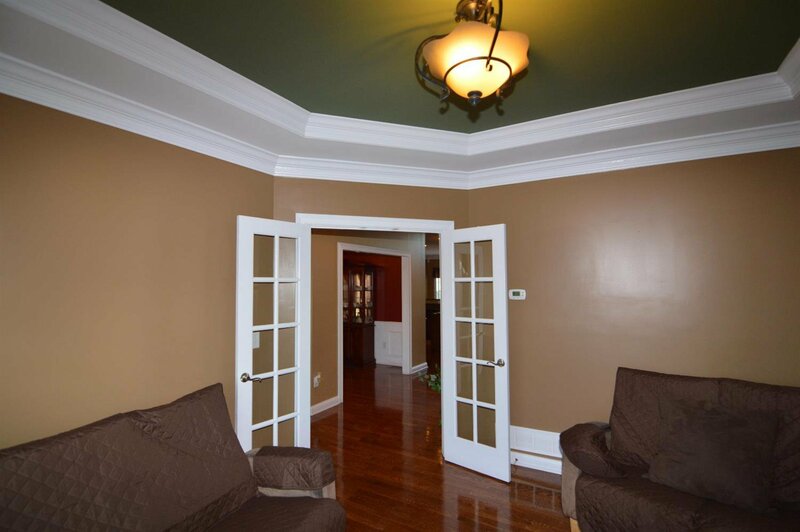 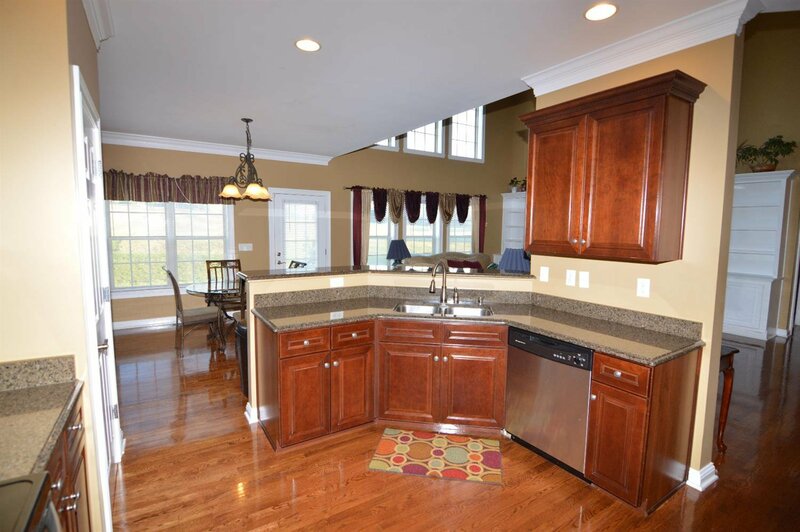 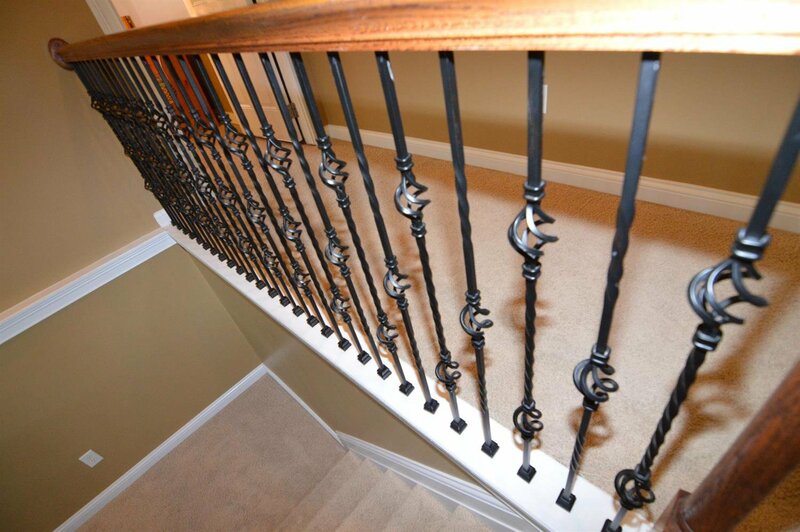 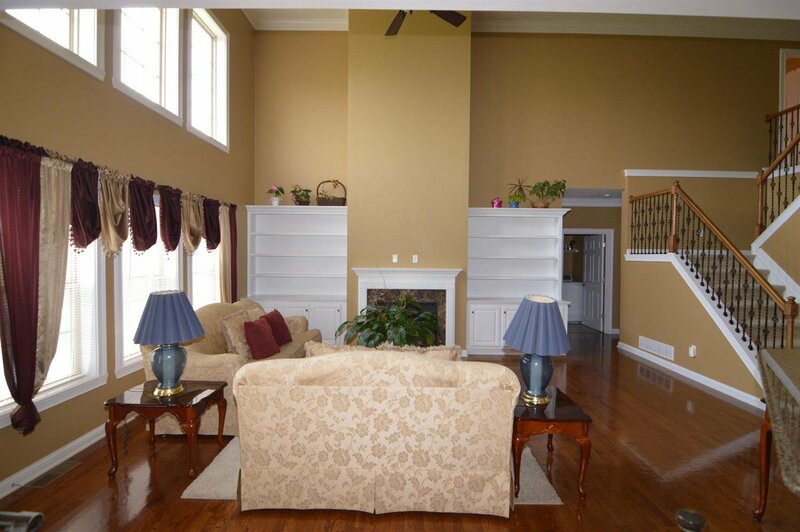 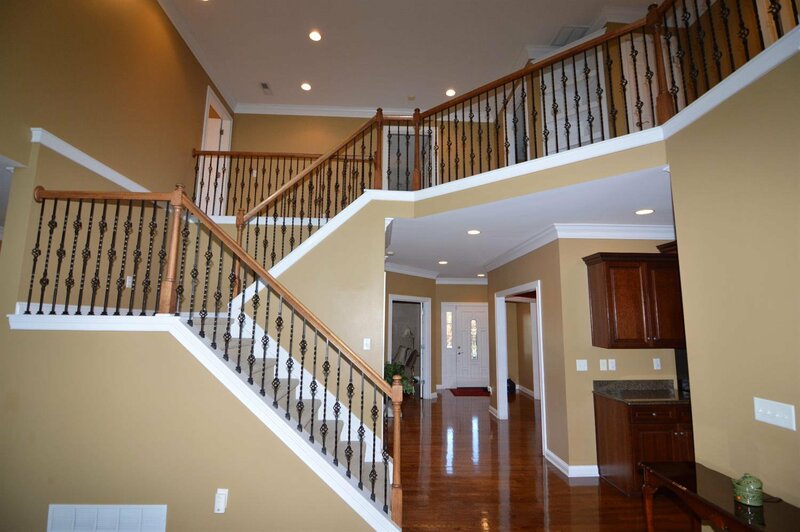 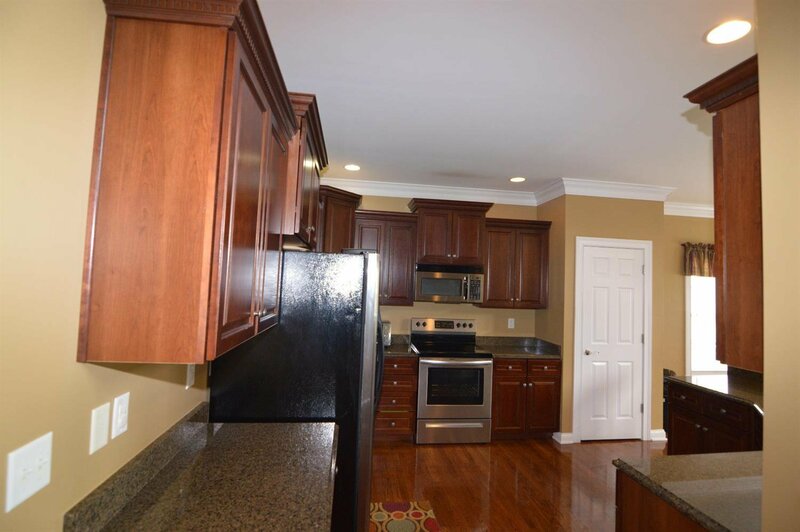 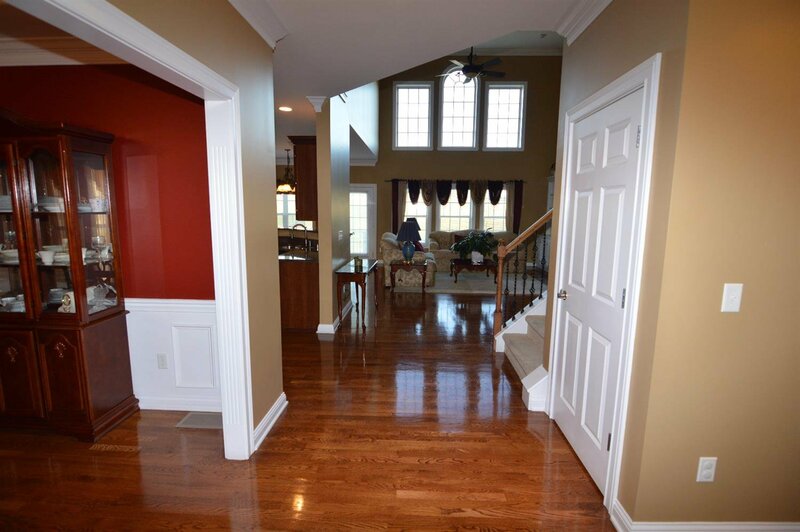 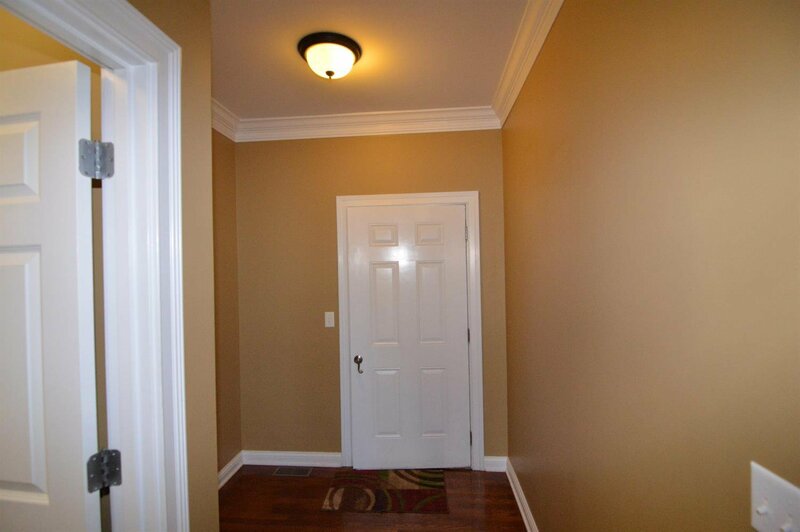 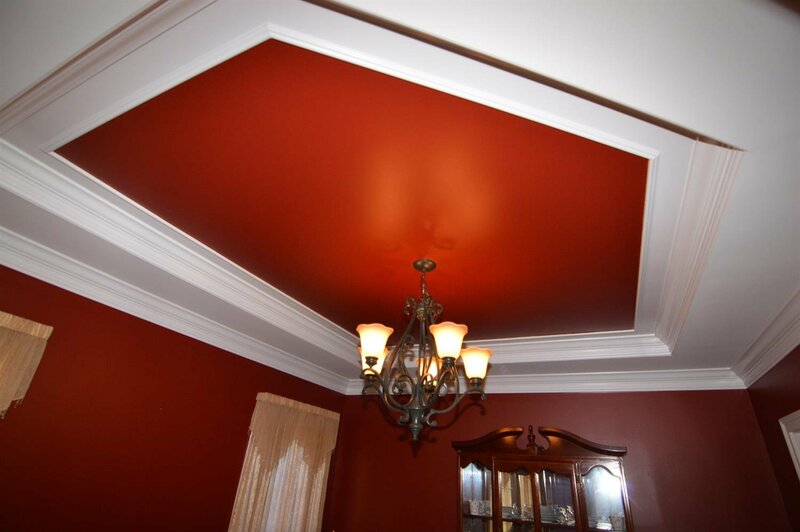 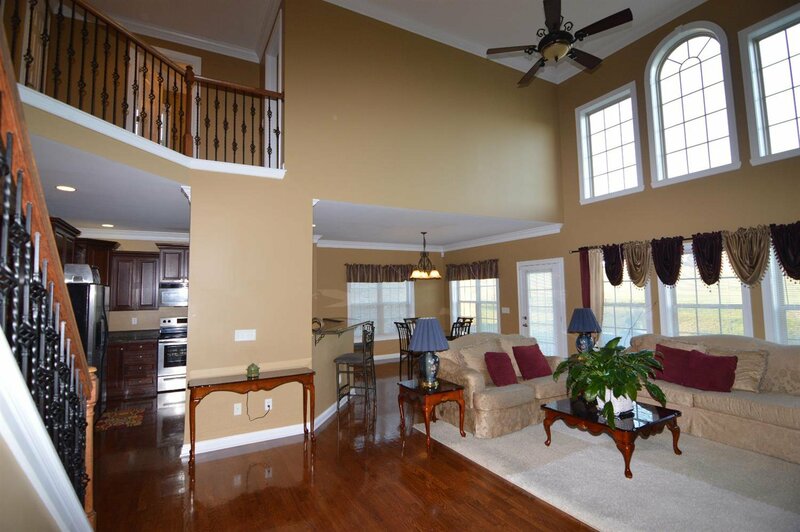 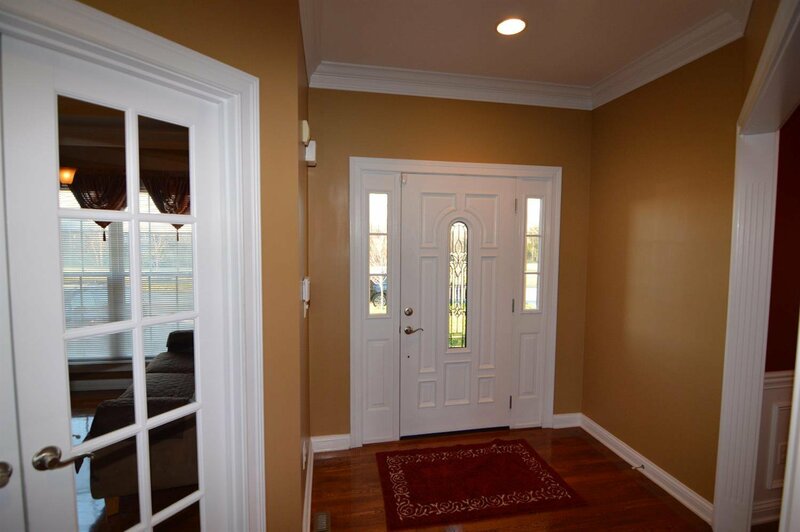 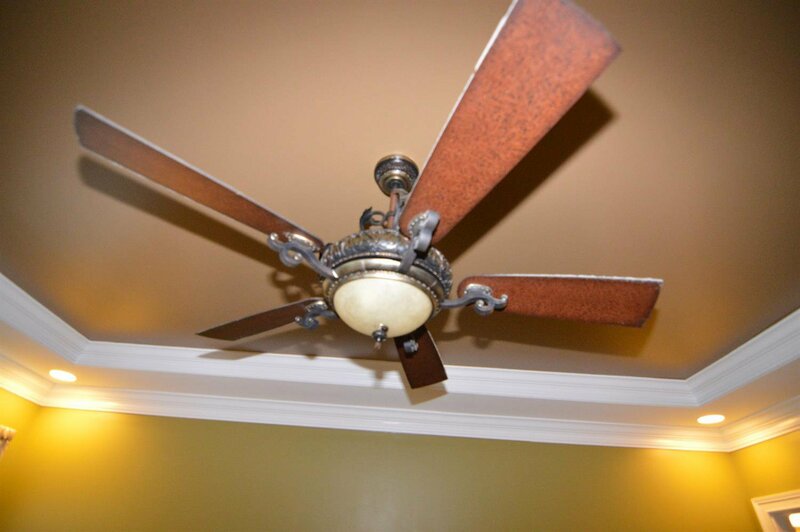 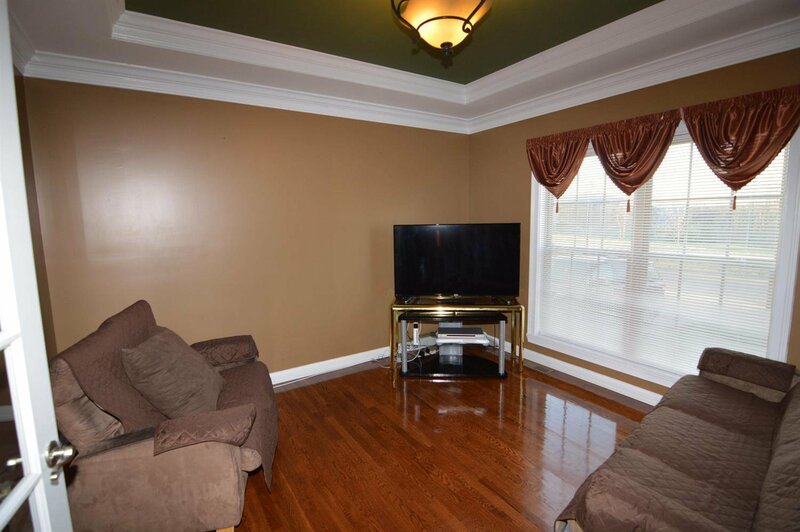 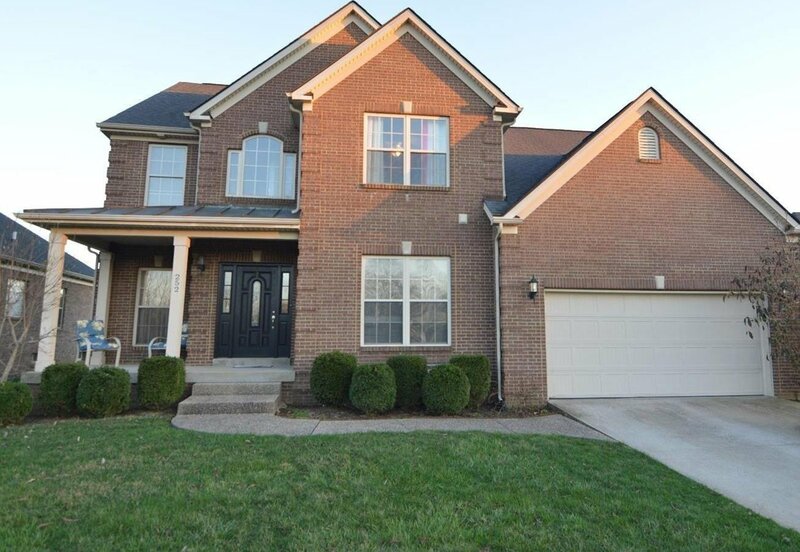 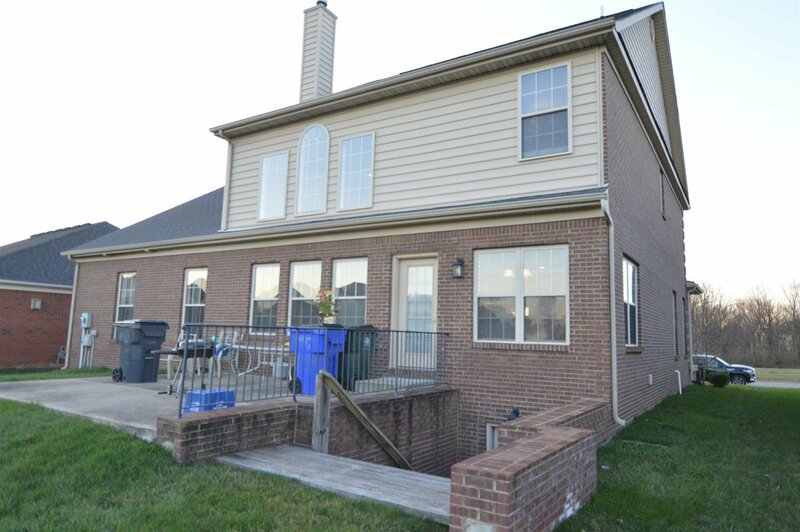 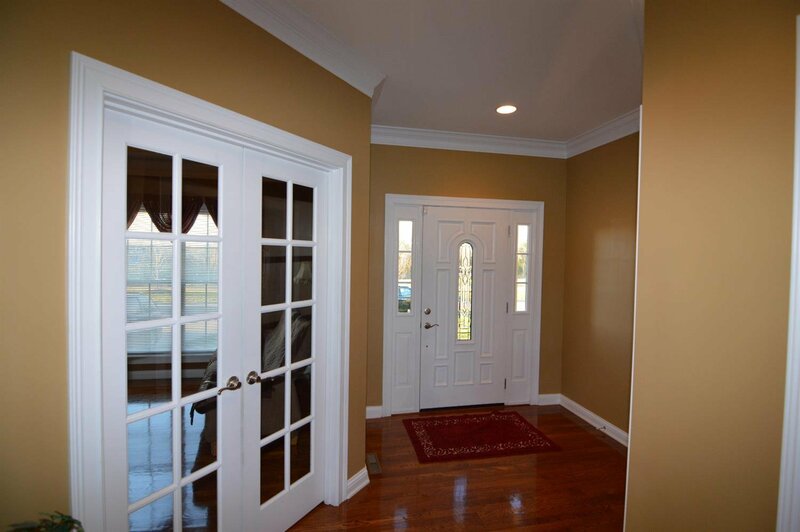 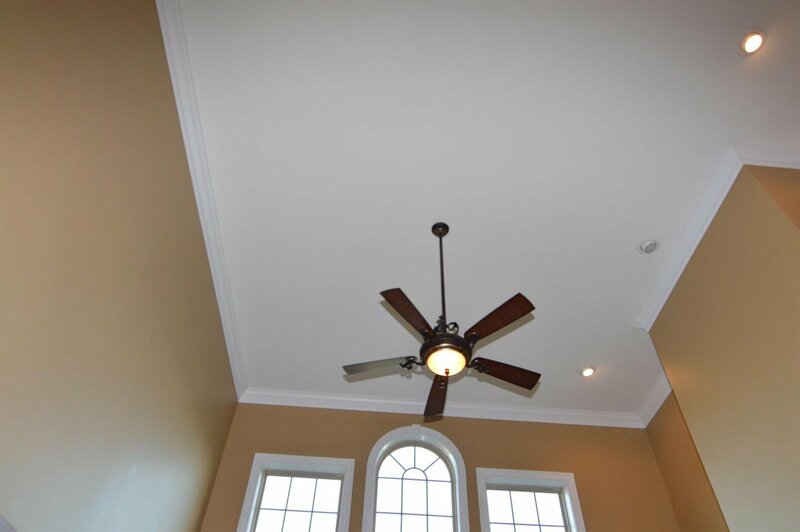 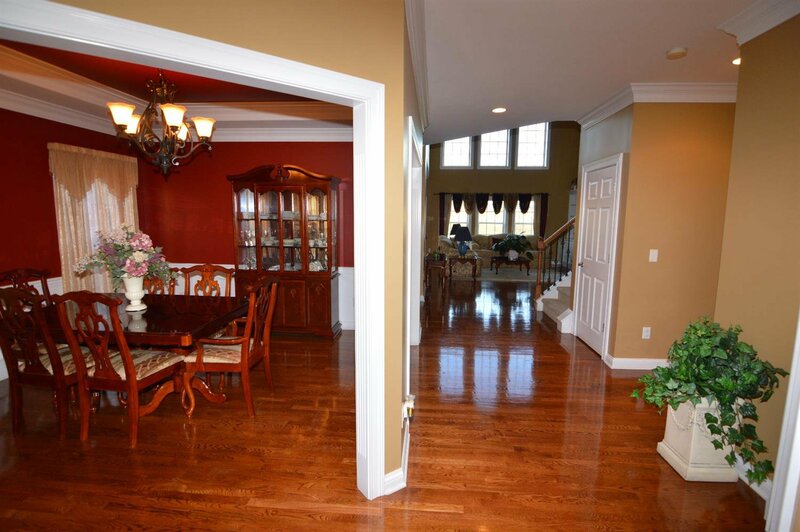 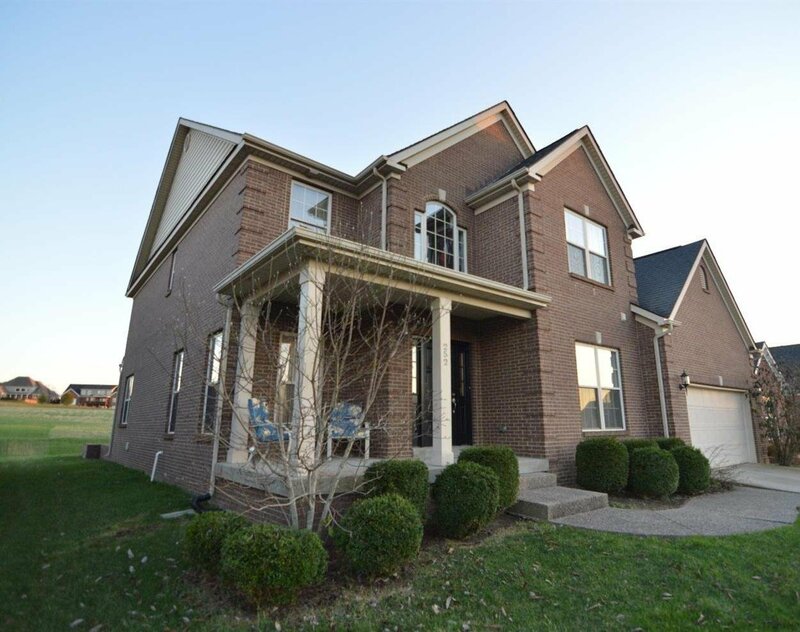 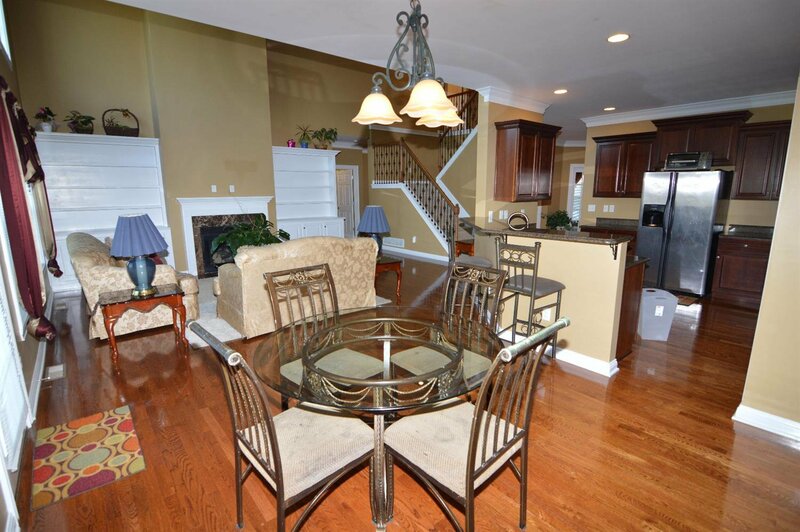 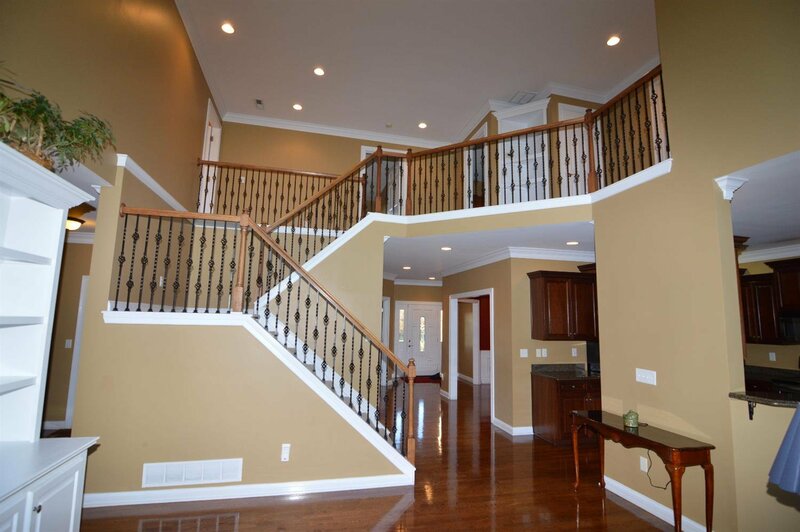 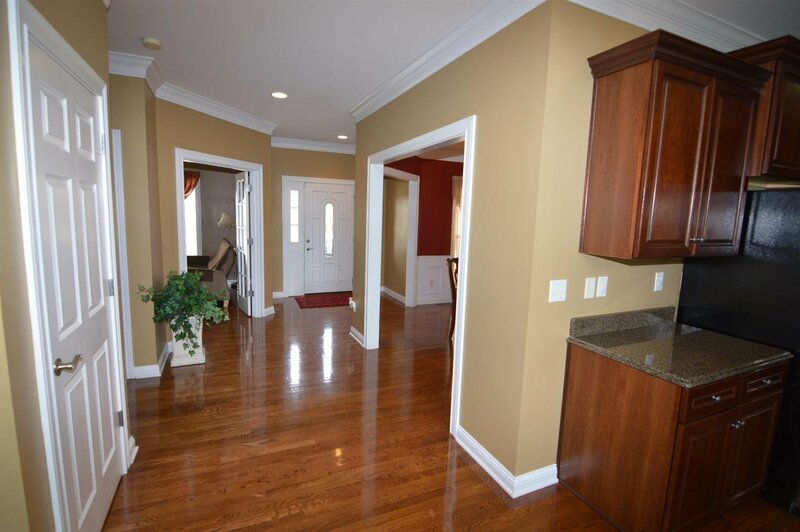 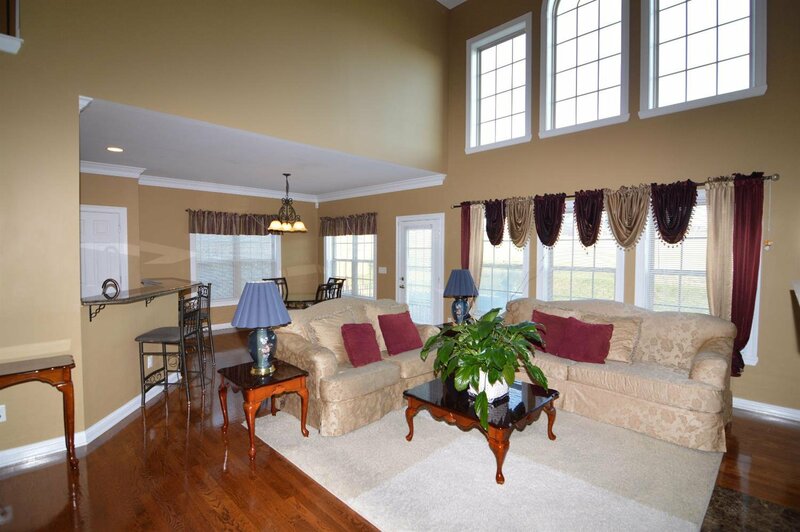 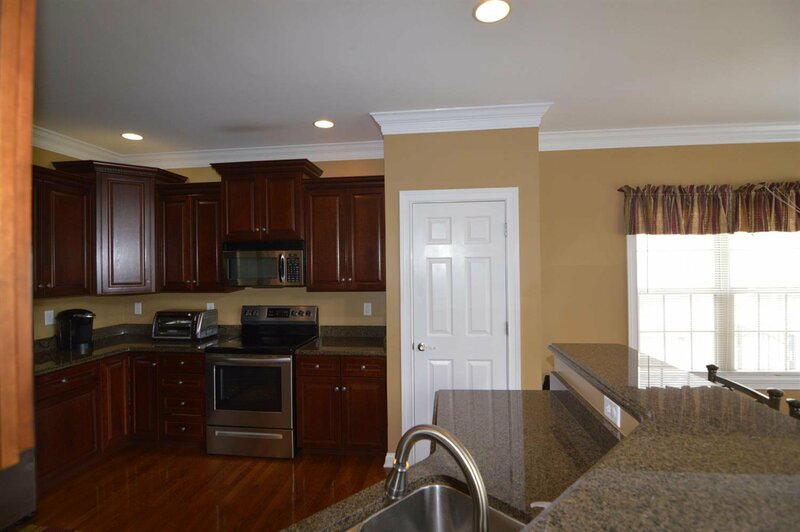 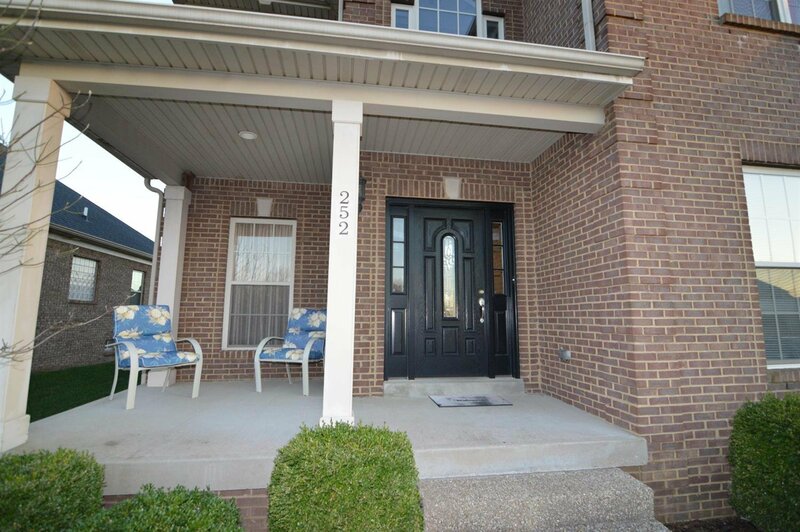 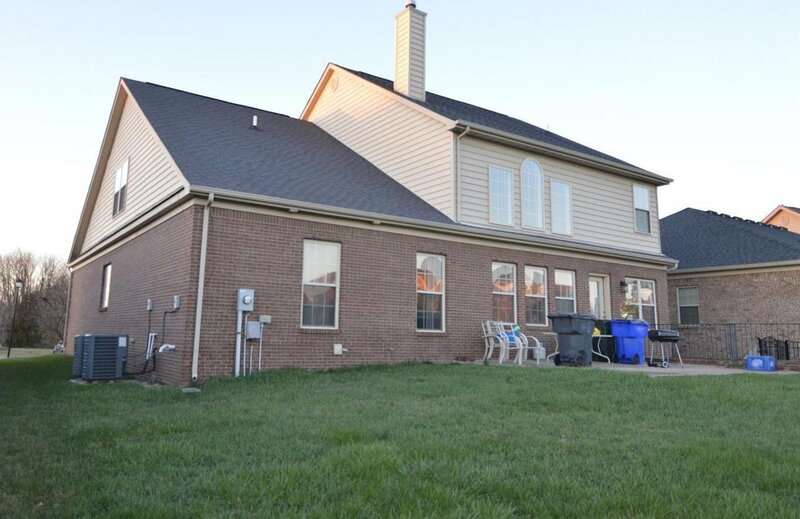 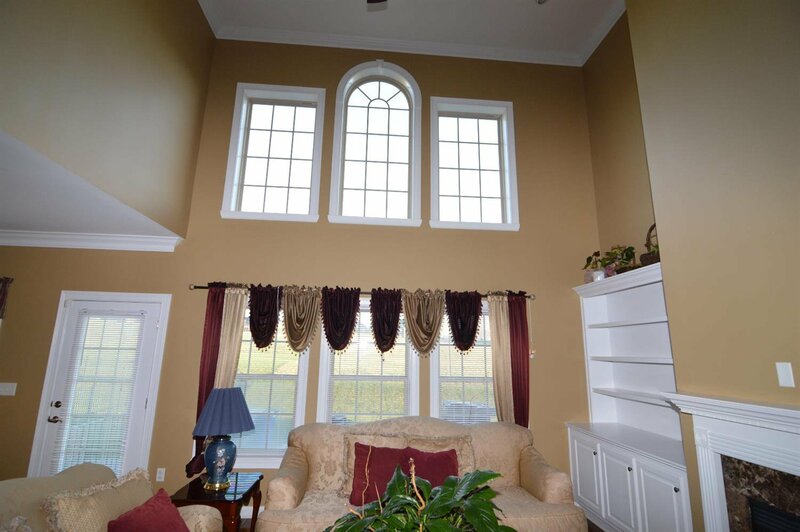 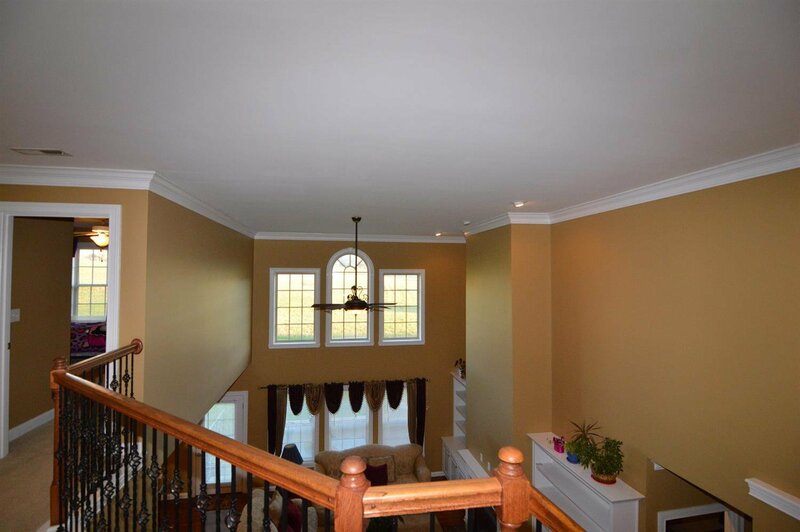 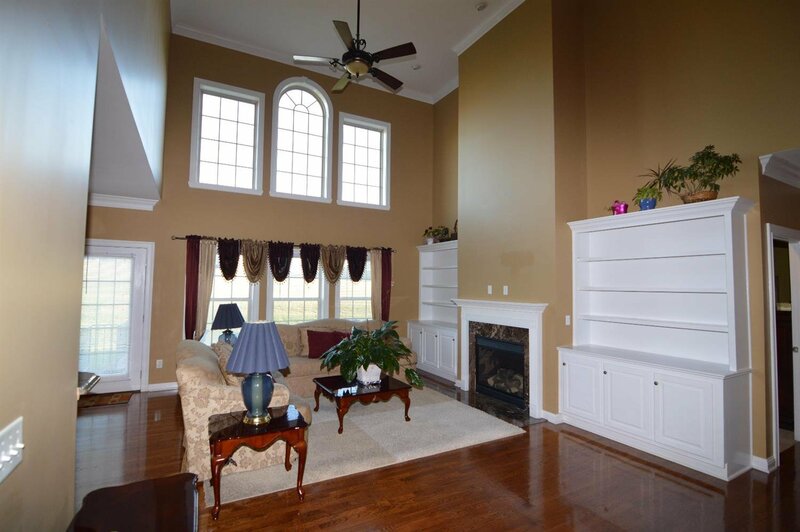 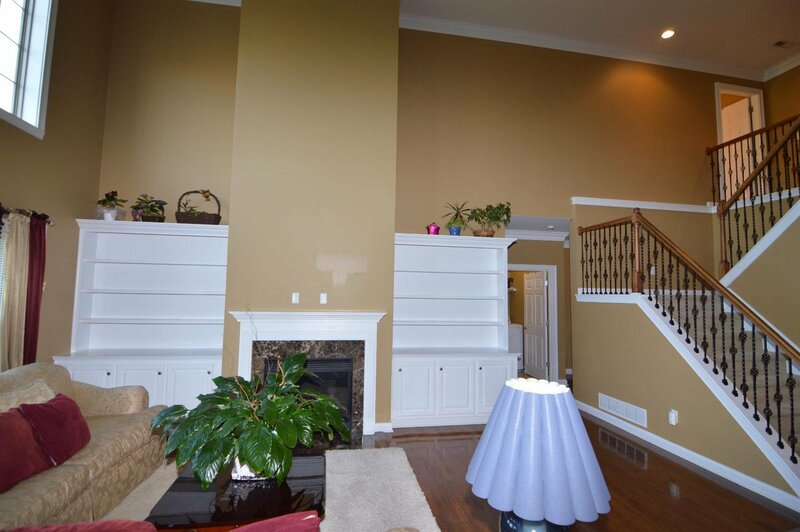 Home has a nice open foyer with wood floors, then will be lead to the 2-story living room. 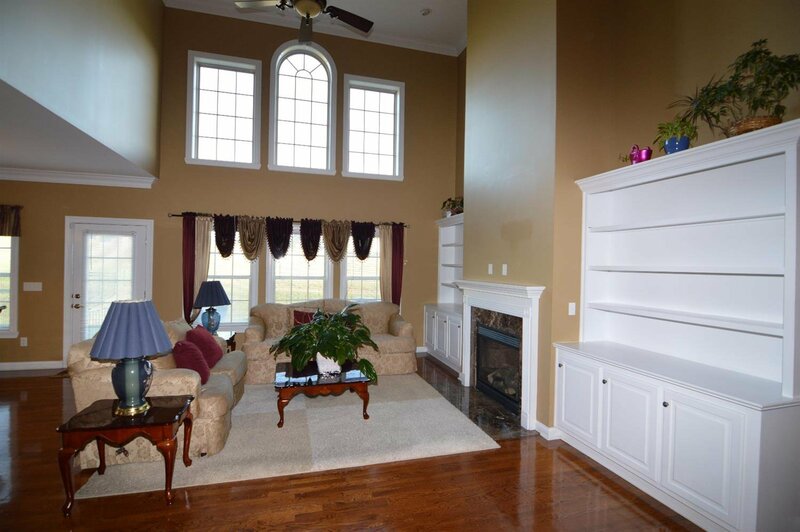 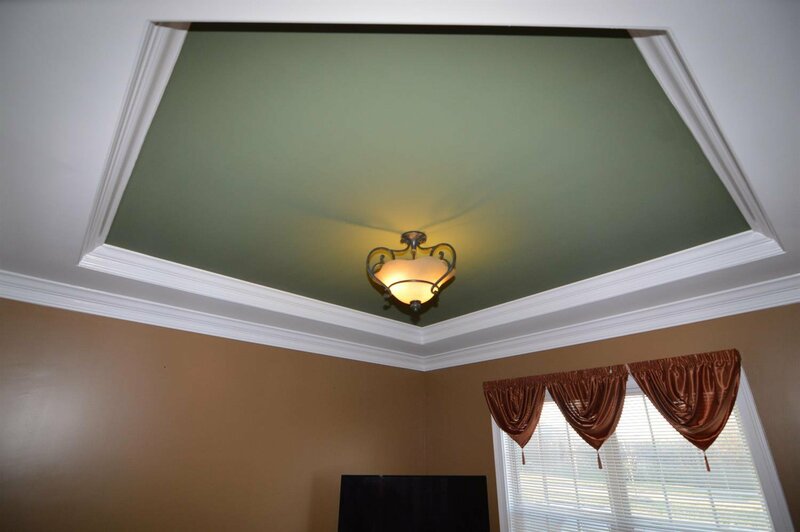 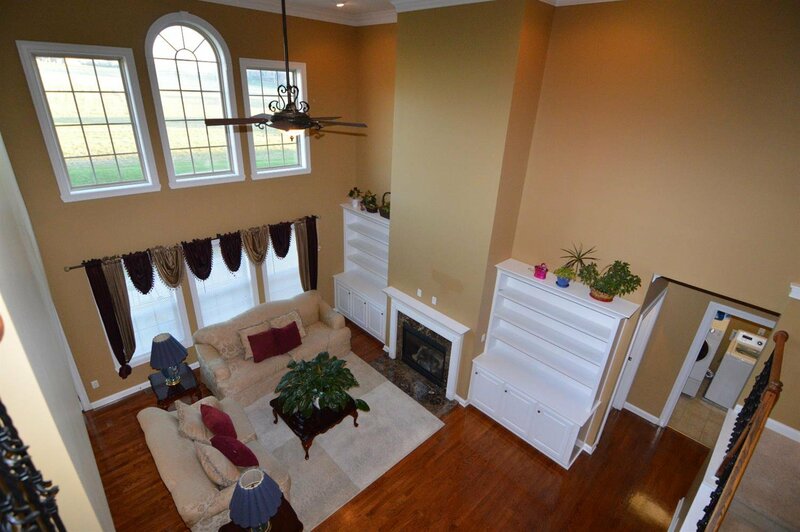 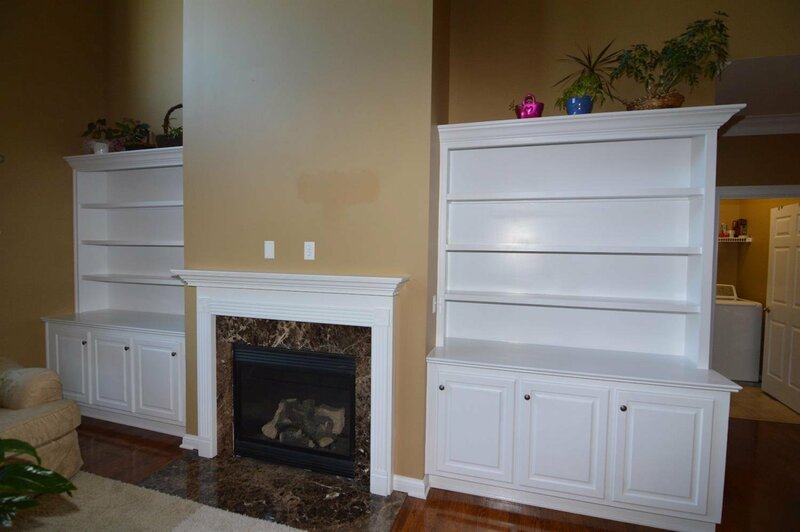 The living room features built ins, fireplace and other upgrades. 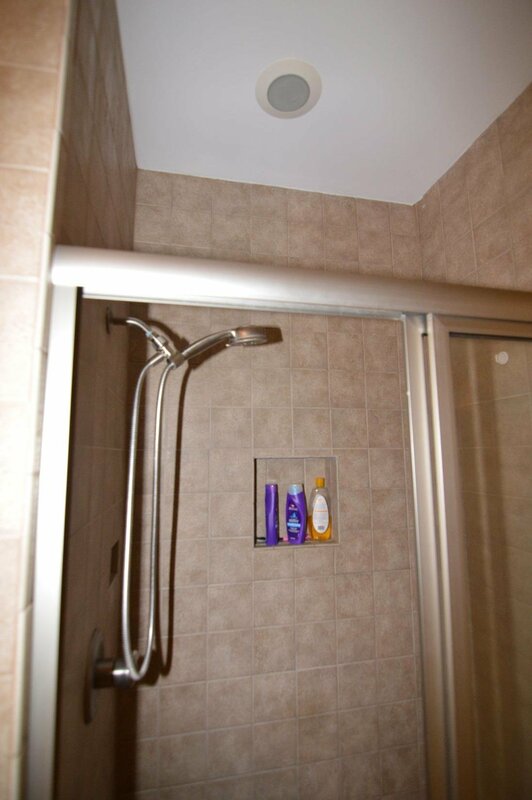 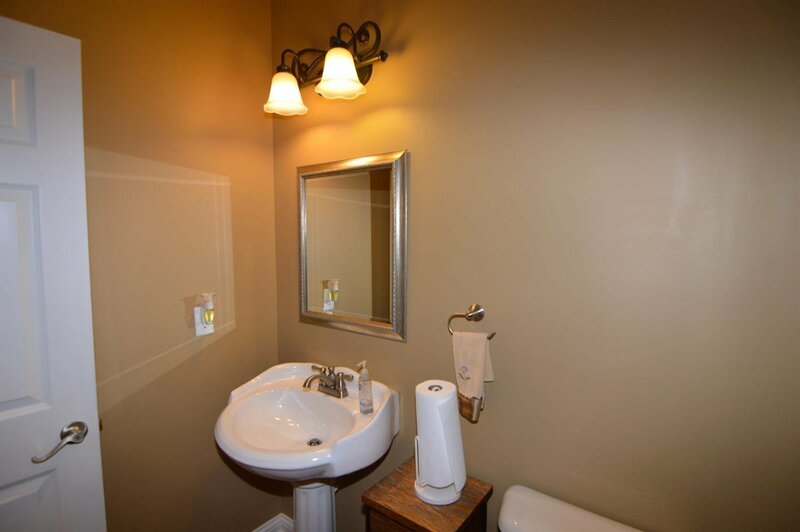 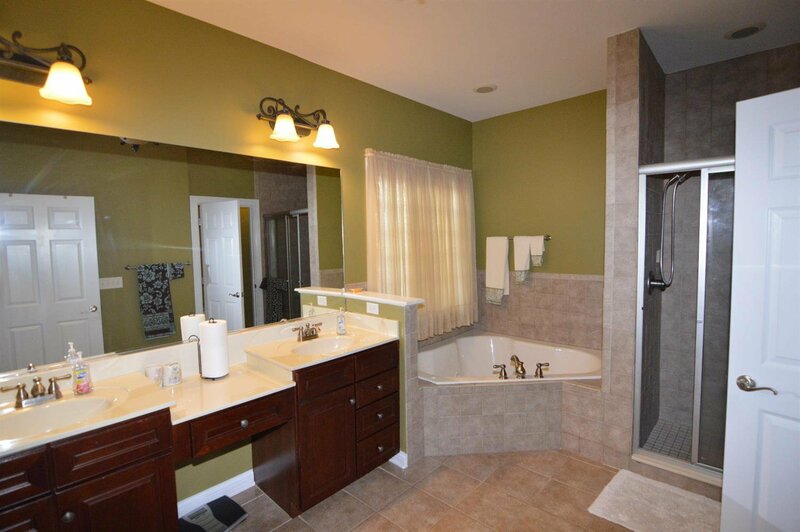 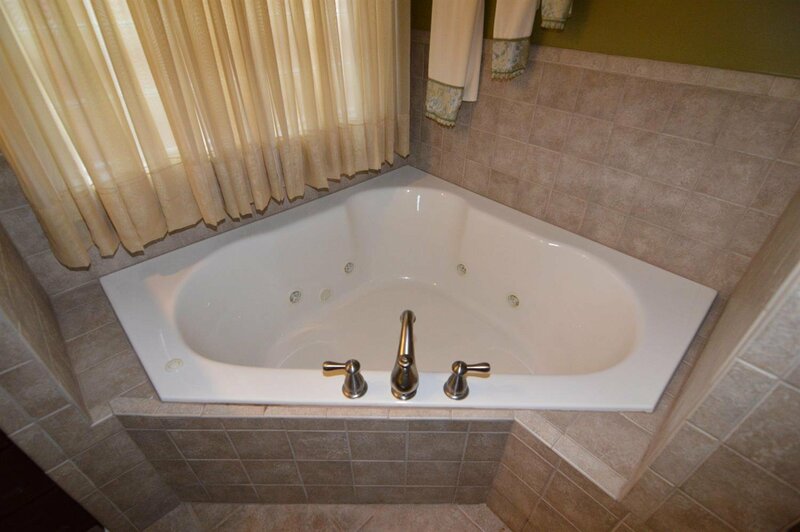 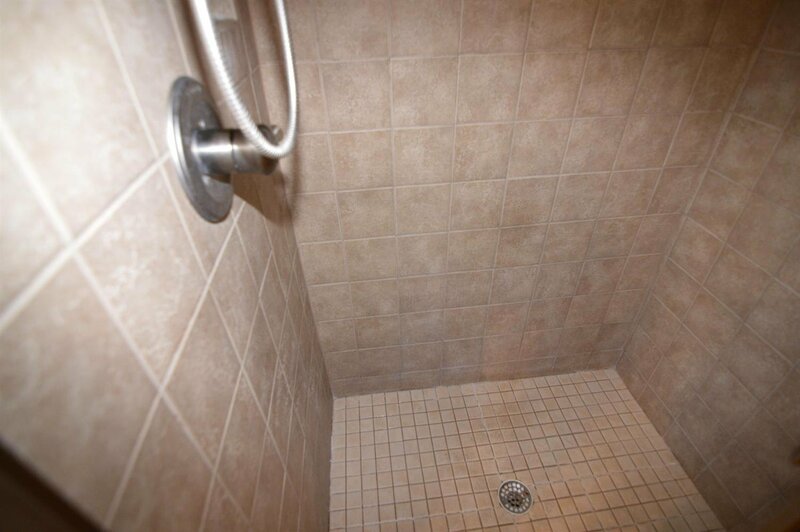 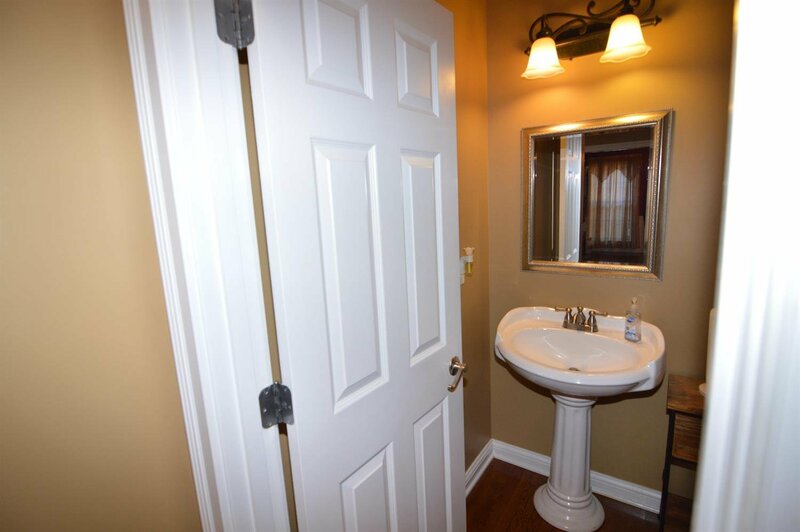 The first floor master bedroom suite is huge and it has a ceramic tile shower, whirlpool tub, double bowl vanity, enclosed lavatory and nice fixtures. 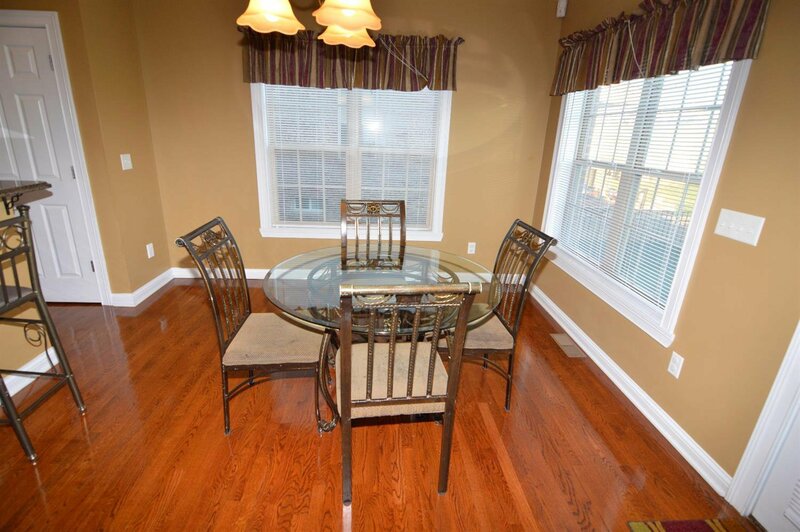 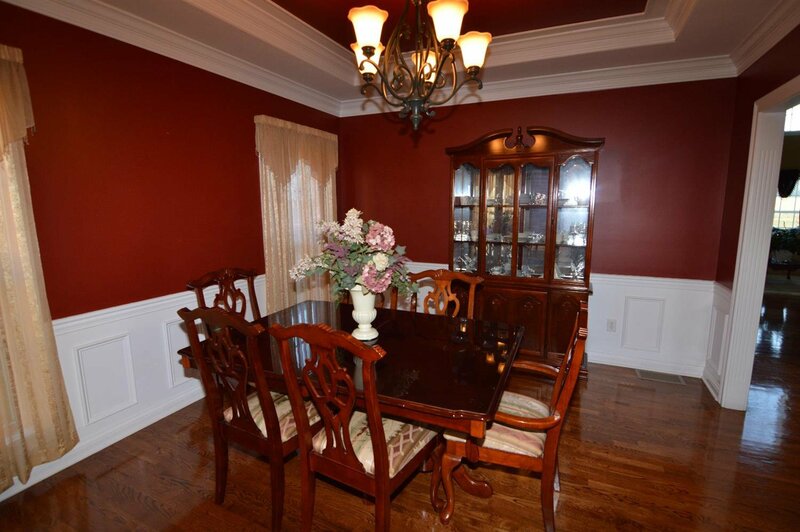 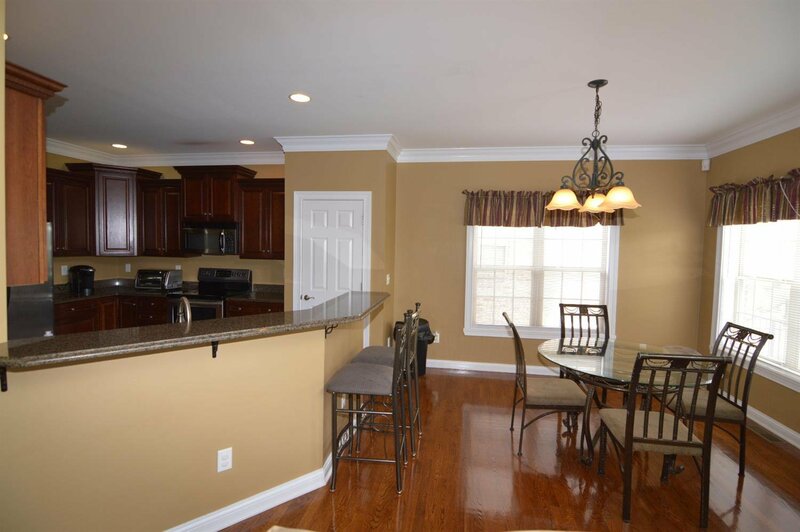 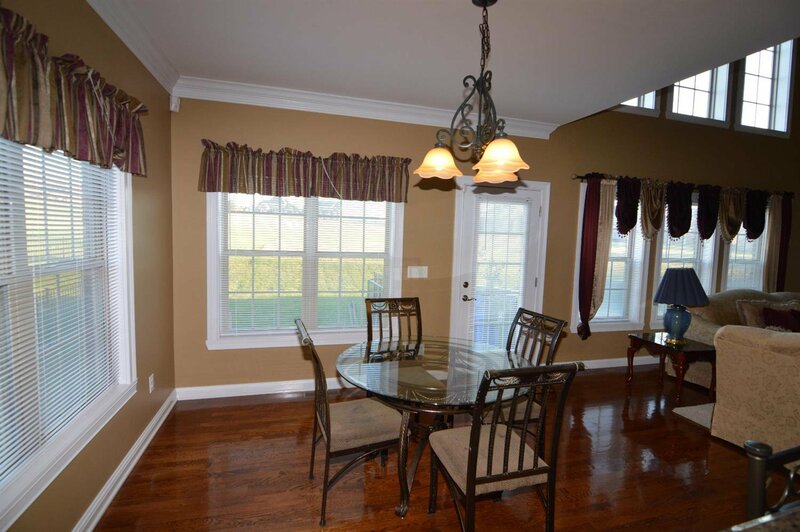 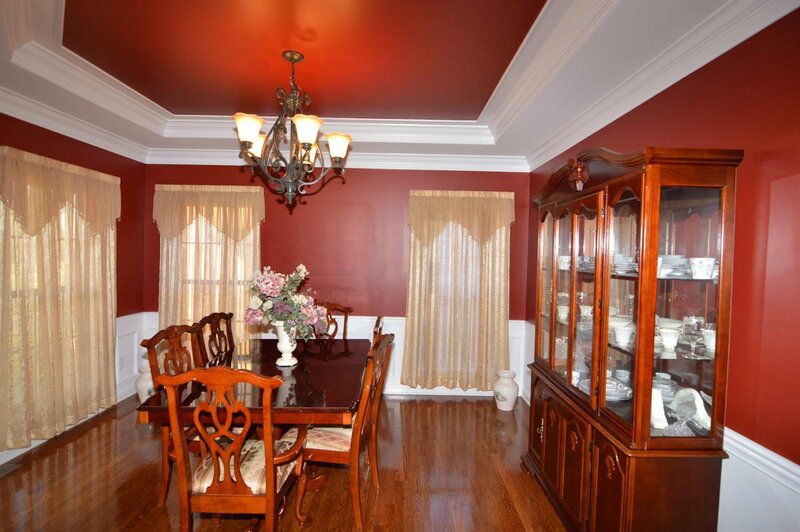 The formal dining room includes chair railing & wainscoting. 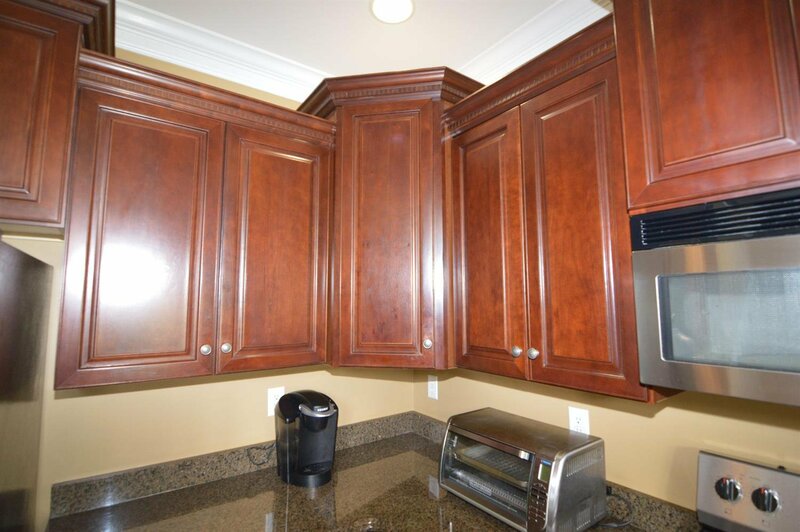 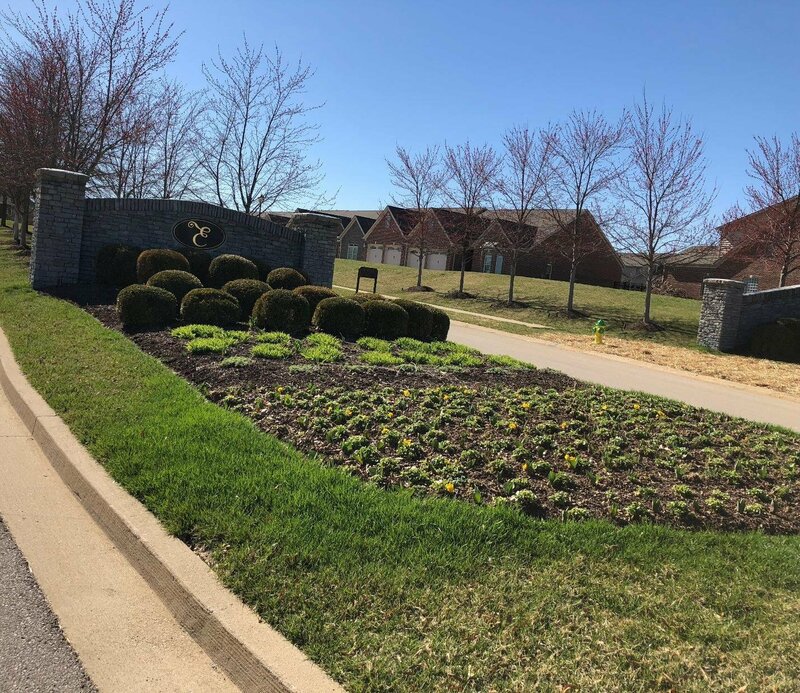 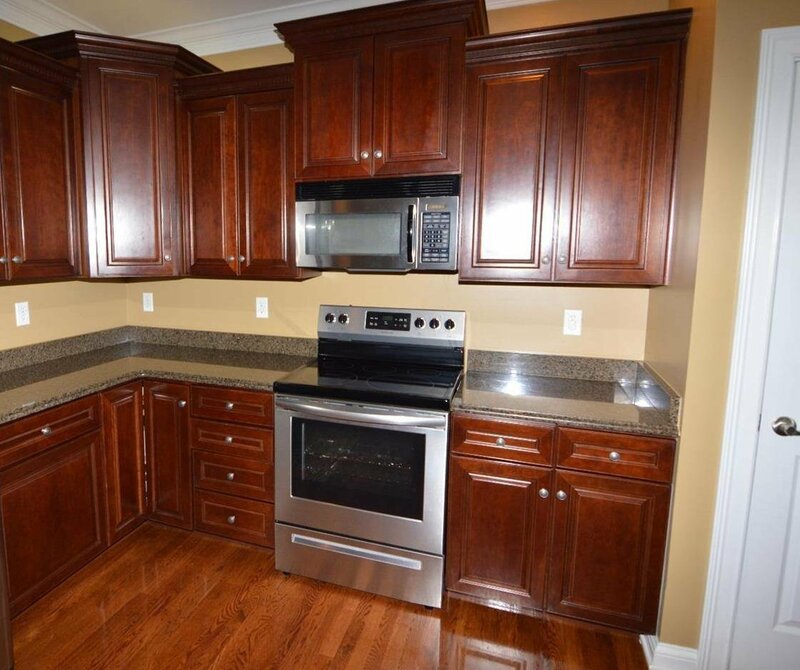 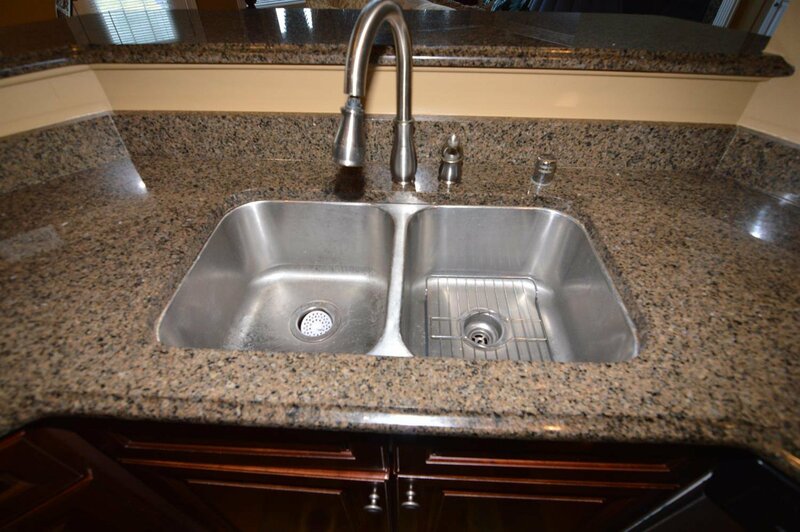 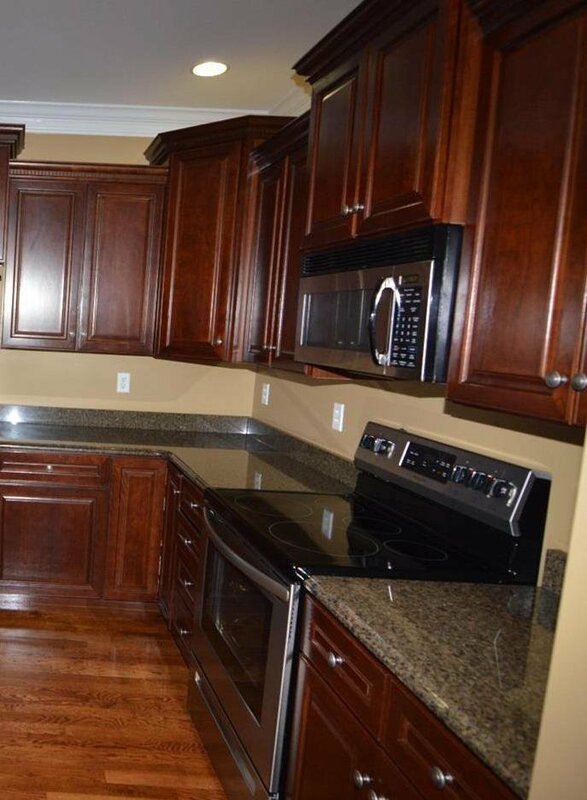 The kitchen offers tons of cabinet space, granite counter tops, stainless steel appliances, and breakfast area that is open to the 2 story living room. 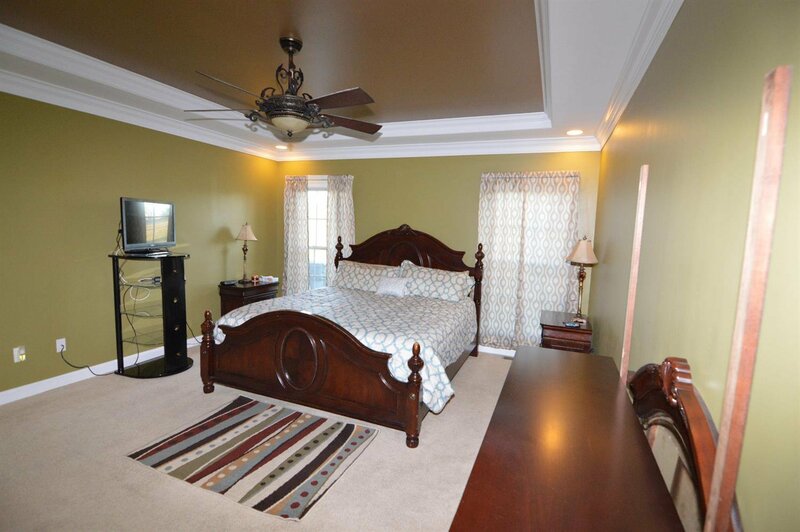 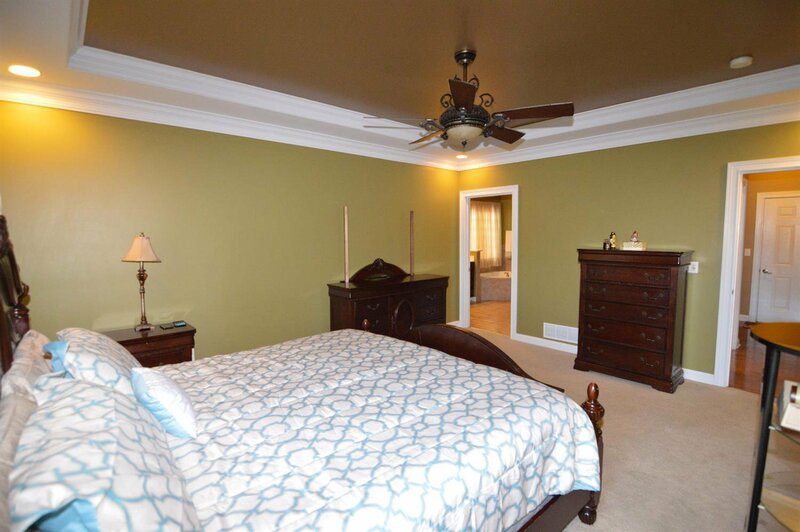 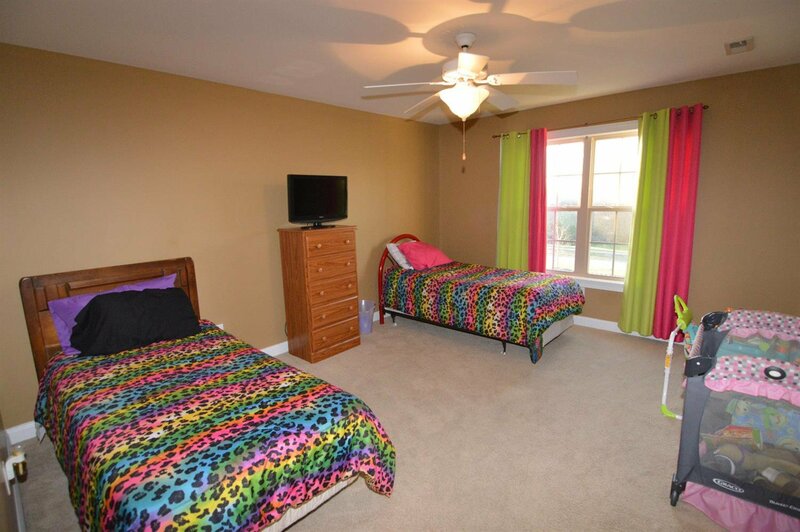 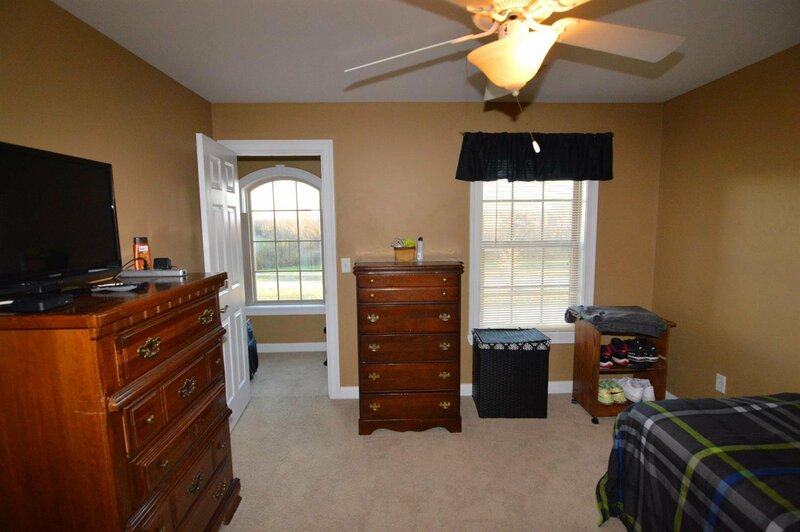 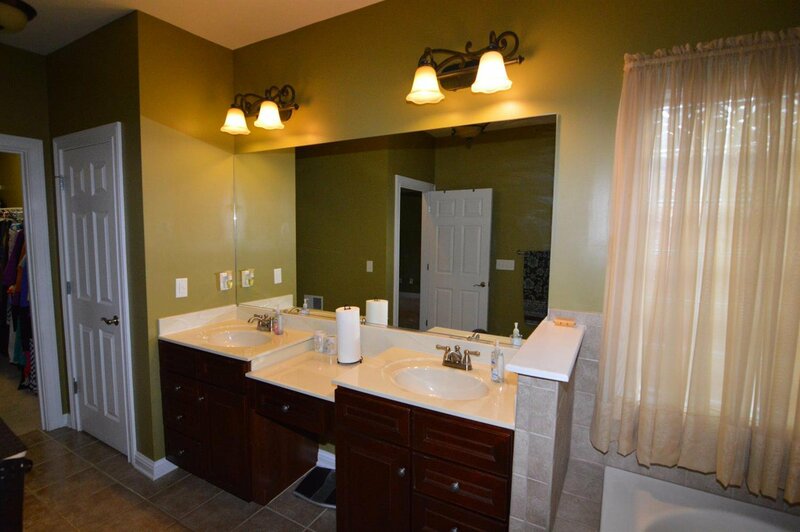 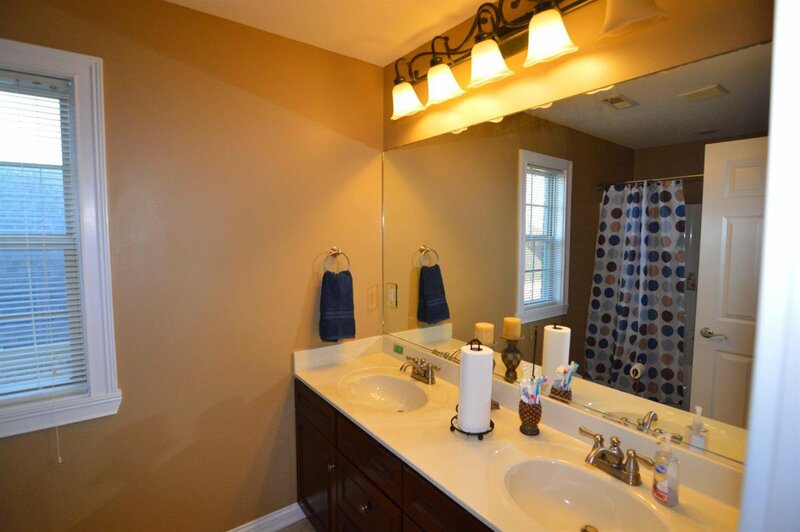 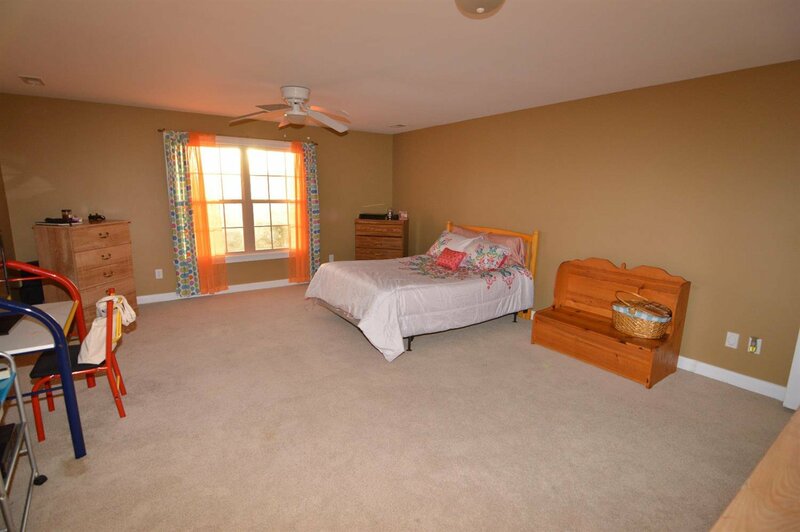 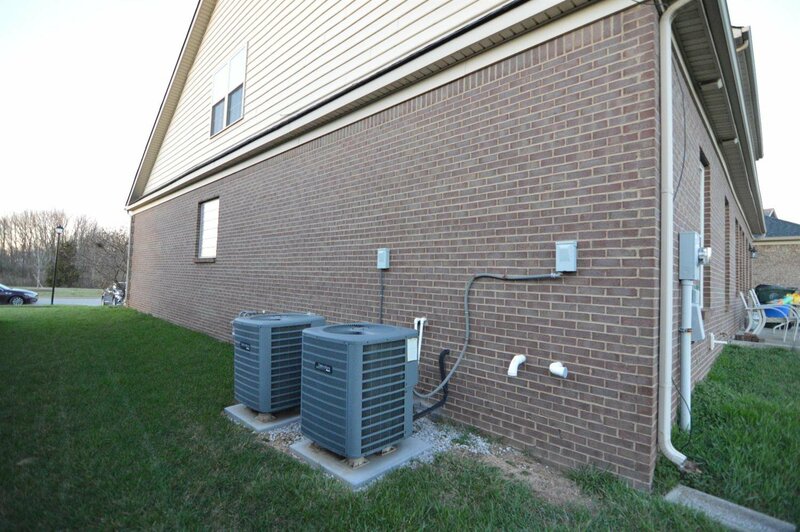 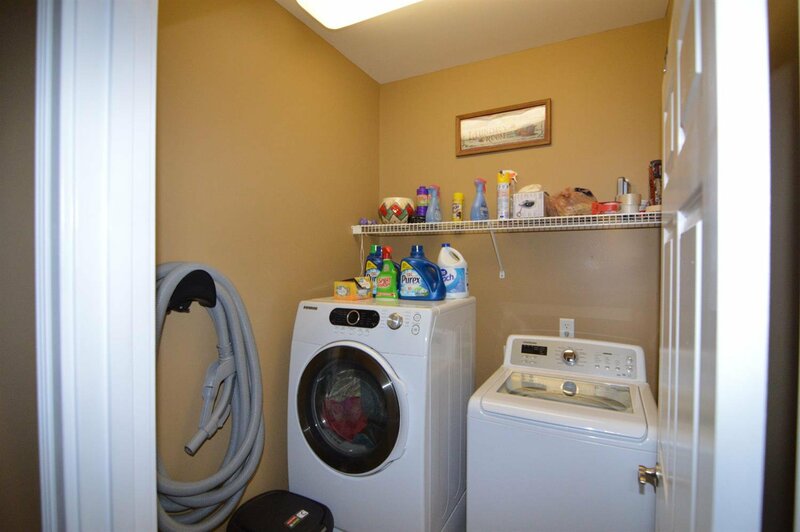 Additional bedrooms are on the 2nd floor and are spacious with nice size closets. 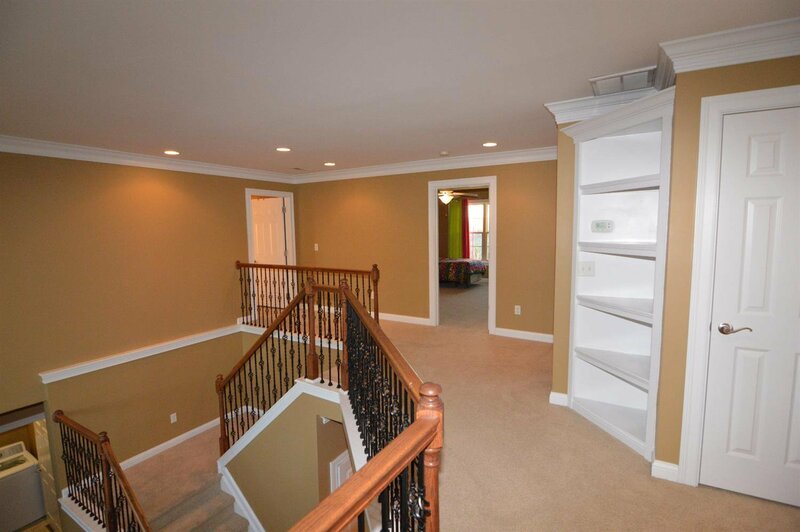 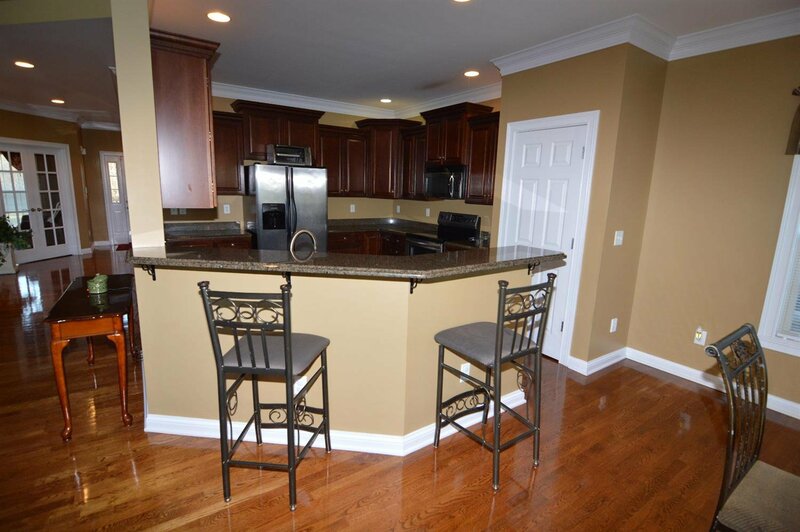 The basement is huge for entertaining and lots of storage space. 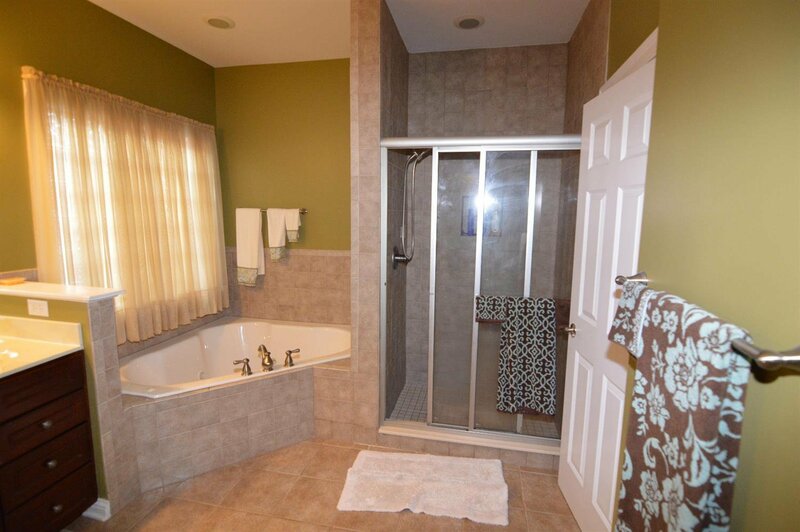 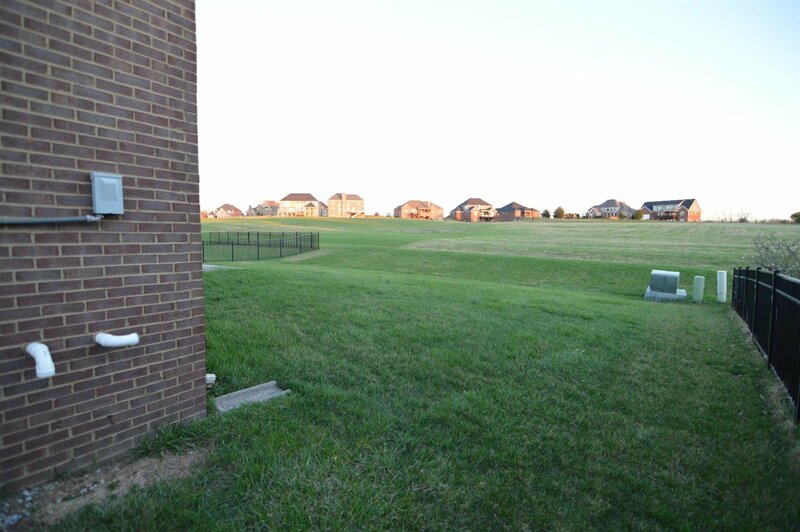 This home backs up to green space to provide you that extra bit of privacy!